Available for retrofit on all BBJ, BBJ 2 and BBJ 3 aircraft. 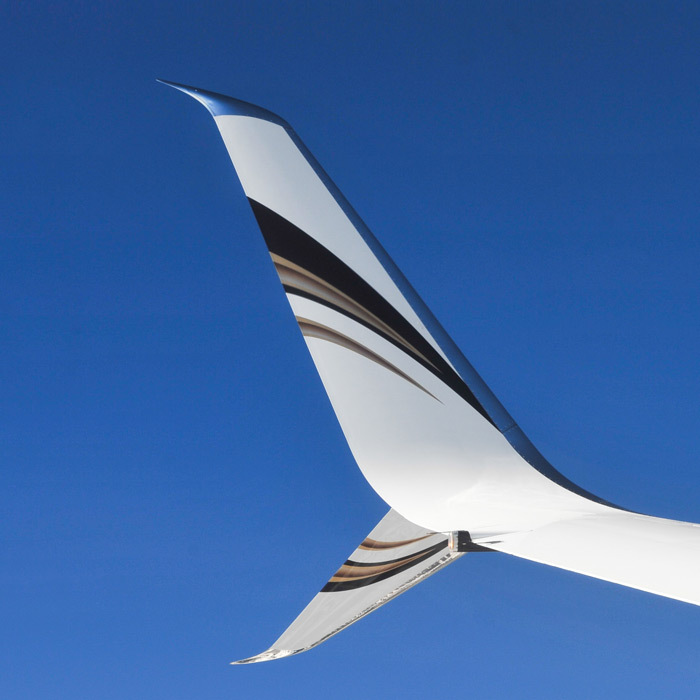 The Split Scimitar Winglet (SSW) completely redefines the aerodynamics of the existing Boeing Business Jet (BBJ) Blended Winglet. 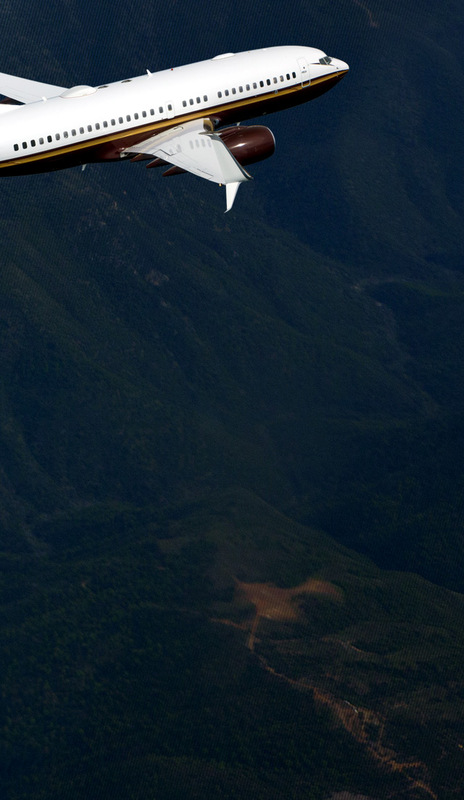 The combined aerodynamic elements of the retrofit (ventral strakes, scimitar tips, and trailing edge wedges) provide a drag reduction, and corresponding range increase, of 2 percent or more for long-range missions, essentially giving a 7-aux tank BBJ the range of an 8-aux tank airplane. 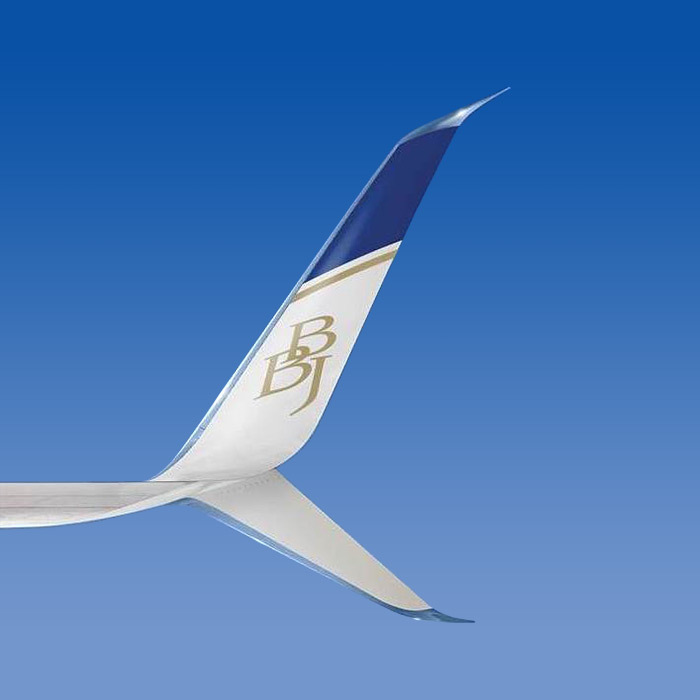 The SSW is now standard on all new BBJ aircraft, and is already in-service on over 700 Boeing 737NG airliners. 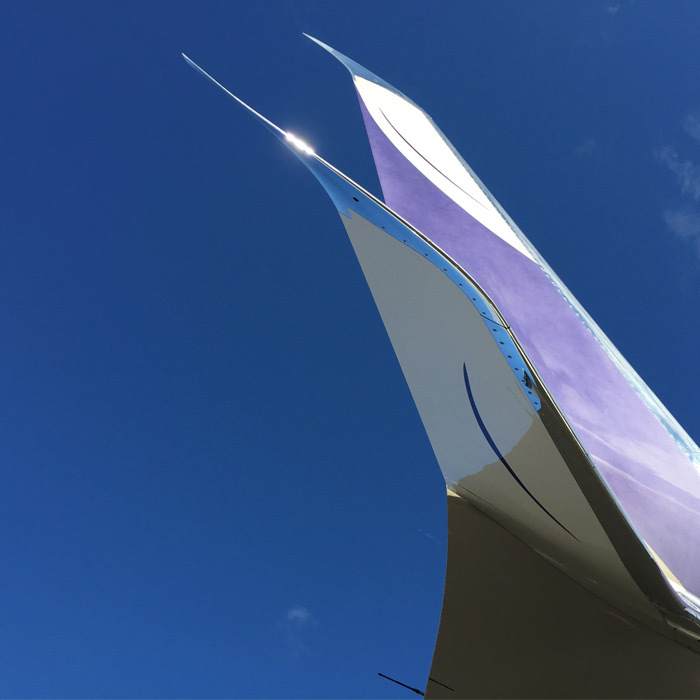 Aviation Partners is also responsible for sales of retrofit Blended Winglet on VIP, corporate and head-of-state owned Boeing 757-200/-300 and 767-300ER aircraft.